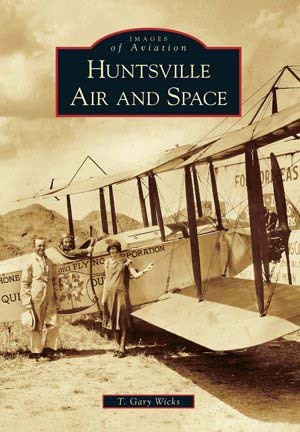 The air age in Huntsville began more than a century ago with Will Quick's design and construction of a flying machine, which he demonstrated in 1908 for patenting and manufacture. The space age began in Huntsville a half century later with the advent of Wernher Von Braun's Redstone Jupiter C rocket, which launched America's first satellite, Explorer 1, into orbit in 1958. A decade later, Huntsville was at the epicenter of the greatest technological achievement of the 20th century as the Saturn V rocket propelled humankind to the moon. Nowhere in the world is the century's rapid advance of air and space technology more apparent than in Huntsville. This unique evolution of flying machines and space vehicles unfolds in this pictorial documentary, including the dramatic growth of the research facilities and community infrastructure that produced these remarkable inventions. Author T. Gary Wicks is a native Huntsvillian and the great grandson of Will Quick. Wicks was a member of the moon-rocket team and has been a player in the Huntsville story and its significant aerospace achievements. He is a member of the Huntsville Madison County Historical Society and the NASA Marshall Space Flight Center Retiree's Association.